OLD PARKED CARS. : "1987 BMW M6"
Hey Ben and Tony, what is at least one make/model each of you would like to find? Atrocious example of a great car. @joey: so many cars on that list, but one i'd like to see is an unrestored, any daily driven dodge station wagon from 1960. Follow the driver and kick him in the shins for me please. 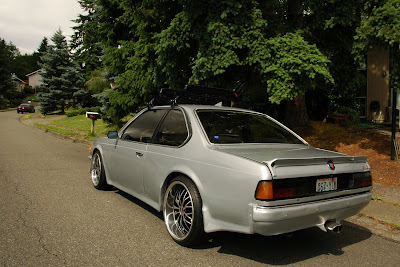 Who donks an M6??! less of a donk, more of a tacky eurotrash style that is more or less period-correct for around the time was made updated in the late 90's with those wheels. the molded body parts are ugly. if this is a gray-market car they could be original though. the wheels are way too big, definitely not my favorite example of this body but still fun to see. i'm feeling this post on so many levels, it would take a page to articulate them all. i trust our regular readers get the joke, but i fear this post is going to go over the head of most everyone else. i'm a keep-it-stock guy, of course, but i can acknowledge the appeal of this aesthetic. i actually thought it was awesome at first glance. but the more i looked, the more confused i got. the longer i look, the more terrible details i find! so many ripples! Thats's some heinous "bodywork" topped off with a cringe-worthy, amateurish paint job. 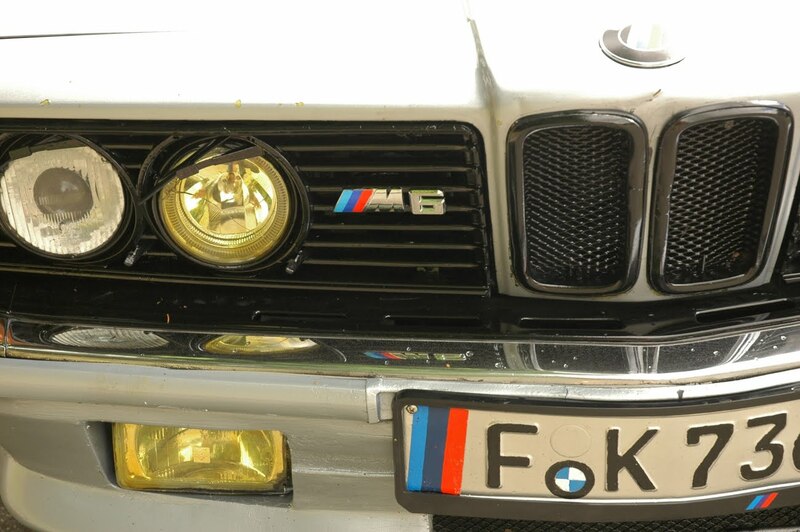 Who in their right mind would ruin an example of one of BMWs most beautiful designs? There are a bunch of pre-1974 japanese nostalgics I'd love to see in person, especially Mazdas. Also what car fan doesn't want to find some rare racing homoligations like the Volvo flathood or 323GTX? 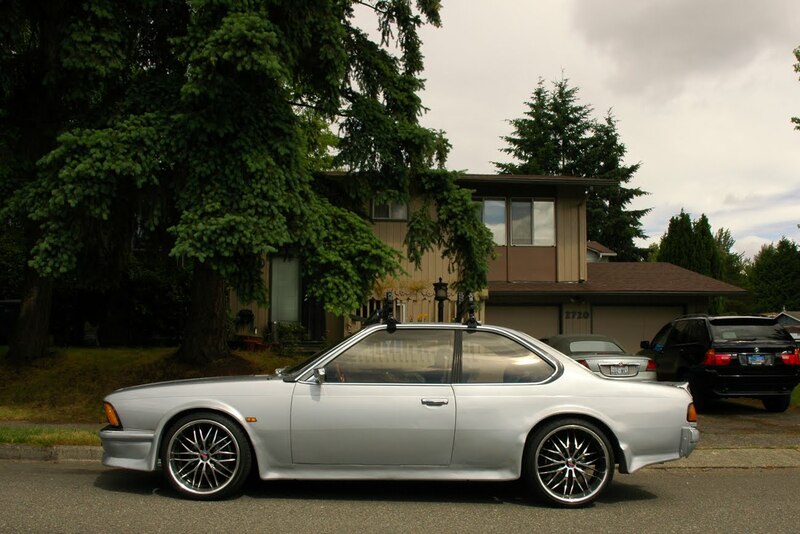 I feel like I find more now-are-my-dream cars that I was unaware existed than the ones I put on my bucket list. I'm really hoping that there are a lot of yet to be documented Renaults, Fiats, and Eagle cars that a lot of people would like to forget. 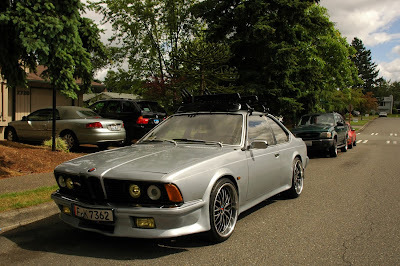 my guess is that this is a regular 6 series duded up to look like a euro custom m6. 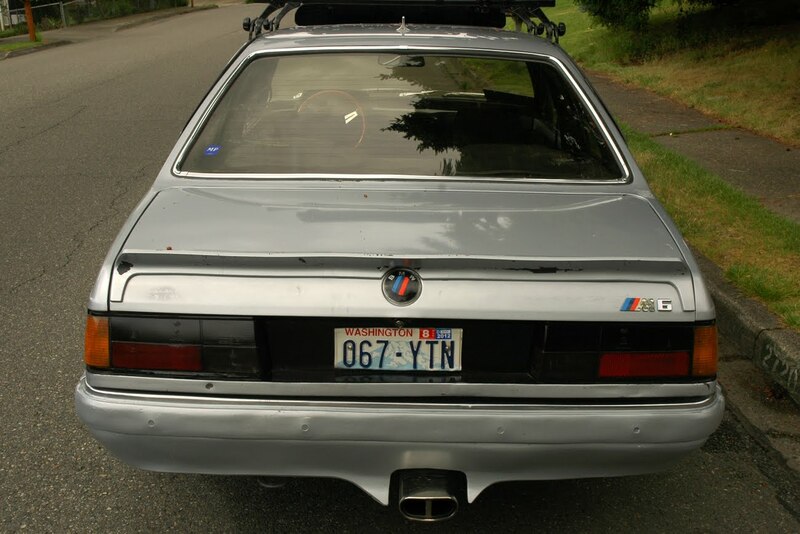 the bumpers and moldings are consistent with that of a regular 635csi. If you look at the m6 that was captured back in February of 2011 and compare it to this one you should be able to see the subtle differences. some one euro trashed the hell out of a stock 635 and made it an auto zone special M6. Despite the horrible bodywork and bad paint, this is actually a pretty cool car. 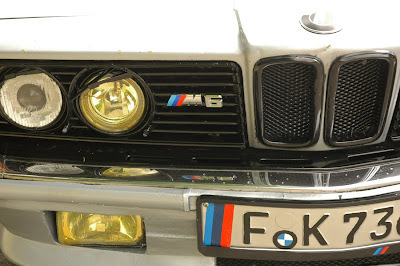 Even though it's just a "stock" 635, I'm pretty sure this is a e12 based series 1 car ('77-'82). The later e28 car's rear bumper wrapped around to the rear wheel the same way the front ones do. If so, it's got the awesome M90 engine and probably a dogleg 5-speed. In any event, it's a real Euro; check out the rear licence plate cut down to fit the space. Wow. This "treatment" is clearly pushing the outer limits of bad taste. The application of late 1990's Japanese tuner aesthetic to an timeless & elegant German design suggests not only a fundamental lack of design sensibility, but a total disregard for for product cohesion. If the underlying E24 is indeed a real small-bumper M635csi Euro car, then the perpetrator's crime is even more atrocious. As a BMW owner and enthusiast myself, whoever did that to this car has committed an act of utter sacrilege. No serious BMW owner would do that to their car.